Styled with hessy sweater . They can't wait to meet all your cropped shirts. 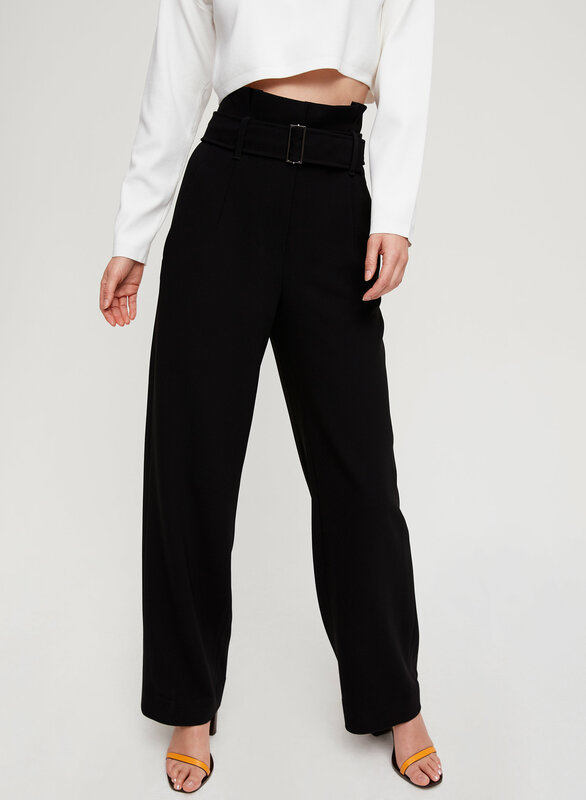 These are wide-leg trousers with a high paper-bag waist. 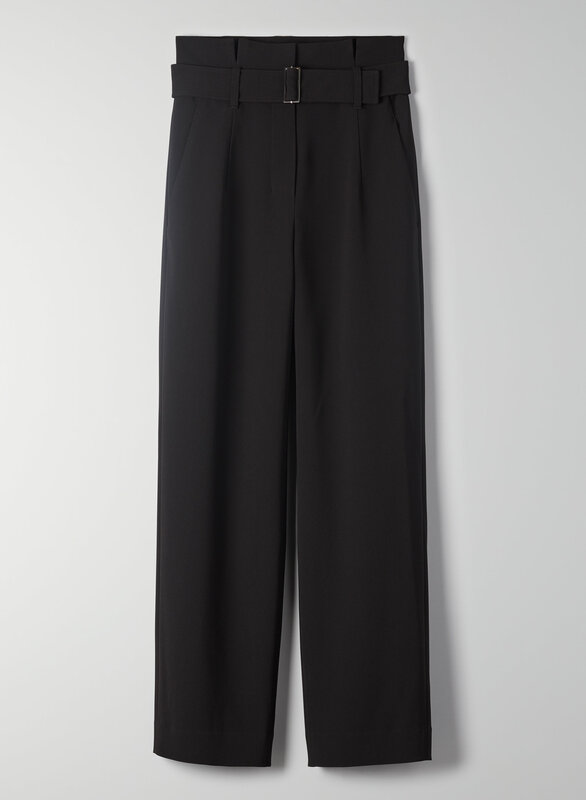 They're made with Japanese gabardine.